Get behind the wheel of our incredible 2014 Chevrolet Impala 2LT Sedan that is proudly displayed in a beautiful Black! Powered by a 3.6 Liter V6 that offers 305hp while connected to a smooth-shifting 6 Speed Automatic transmission. This luxury-tuned Front Wheel Drive allows you to cruise down the road in style and see near 30mpg. It's easy to make a compelling first impression in your Impala 2LT with it's bold, aggressive and thoroughly modern design. Check out the dual exhaust tips and aggressive alloy wheels! Inside our 2LT, enjoy premium seating, a leather-wrapped steering wheel with audio controls, power accessories, dual-zone Automatic climate control, MyLink infotainment with a touchscreen, and other incredible amenities as seen in our photos. 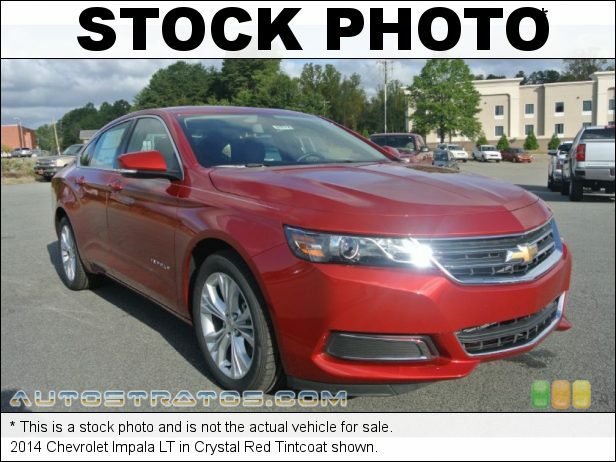 Advanced safety systems abound on this Chevrolet Impala with Stabilitrak, multiple airbags, and anti-lock brakes. Give your family the security, performance, and comfort that only come from owning our Impala. This vehicle has been professionally serviced and reconditioned and we are confident you'll be purchasing a great vehicle from Classic. All of our cars come with a full tank of gas, a vehicle history report, and no recalls! Call Todd or Branden at 440-953-1070 for help making this one yours!